Just by taking a quick glance at the current roster of the Arizona Coyotes, most observers will immediately notice a lack of scoring ability and forward depth. Ever since Dave Tippett took over as the head coach for Arizona in 2009, the Coyotes have very much been a score by committee sort of team. However, the current group of players assembled in the desert appears to be particularly thin up front. Taking a deeper look at the roster, it seems as if Sam Gagner, Martin Hanzal and Antoine Vermette will be the top three pivots for Tippett. Shane Doan, Mikkel Boedker and Martin Erat will likely be asked to play top six minutes on the wings, but that leaves one empty spot open. 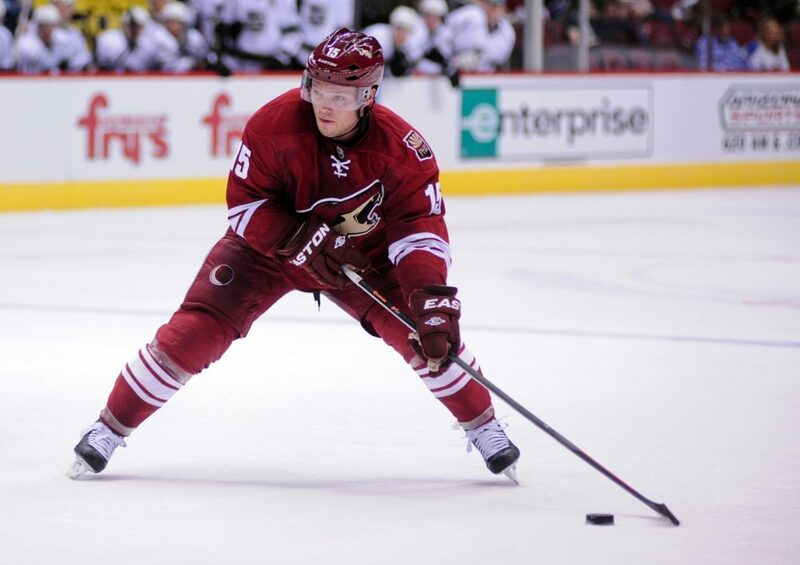 How will the Coyotes address the hole in the top six? One option would be to move the newly acquired Sam Gagner to the wing. He’s familiar with the position, having previously spent time playing both in the middle and on the wing for the Edmonton Oilers. Some believe that Sam wasn’t as effective when playing the wing in Edmonton, despite his skill set seeming well suited for the job. He’s a skilled puck handler and play maker, so he could be useful as a puck possession type of winger. I can almost picture him setting up his line mates from the half wall with nifty passes into the slot. Unfortunately, it’s just as likely that he’s better suited to play in the centre of the ice, and Tippett may prefer having him down the middle to provide depth against the massive teams in the West. In the modern NHL, centre depth equals success. Option two seems like management’s favourite so far, and that’s to let one of the young players in the system take a crack at the top six. Max Domi and Henrik Samuelsson are the closest to being NHL ready out of the high end forwards in the pipeline. Many Coyotes fans are expecting both to make the team out of camp, but I think it would be wise to let Samuelsson work on his skating in the AHL for a year or two. However, the chances of Max Domi making the big club are improving by the day. General Manager Don Maloney seems very pleased with Domi’s development to date, and there’s something to be said for the talent and pedigree that Max brings to the table. He’s an electric offensive player with a desire to play in the league this season, and I would be shocked if he doesn’t get at least a nine game trial. If the Coyotes can’t plug the hole in the top six through internal measures, they’ll have to venture into the realm of UFA dumpster diving. A name that could potentially be of interest to the Coyotes is Devin Setoguchi. Setoguchi is a 27 year old right winger with speed to burn and a history of putting the puck in the net. He has three 20 plus goal seasons to his name, including a banner year in which he notched 31 goals and 65 points for the San Jose Sharks. Setoguchi has strung together a few poor years in a row now, hence the fact that he is still left unsigned. Regardless, a one year deal similar to the contract recently signed by David Booth would be a low risk, high reward situation. If Setoguchi comes in and scores 20 goals, great. If he can’t stay in the lineup, no harm done. Why not, right? The last free agent that I want to highlight is 24 year old Andrei Loktionov, a former member of the Hurricanes, Devils and Kings. Loktionov posted 22 points in 68 games split between Carolina and New Jersey last year, playing mostly on the third line. 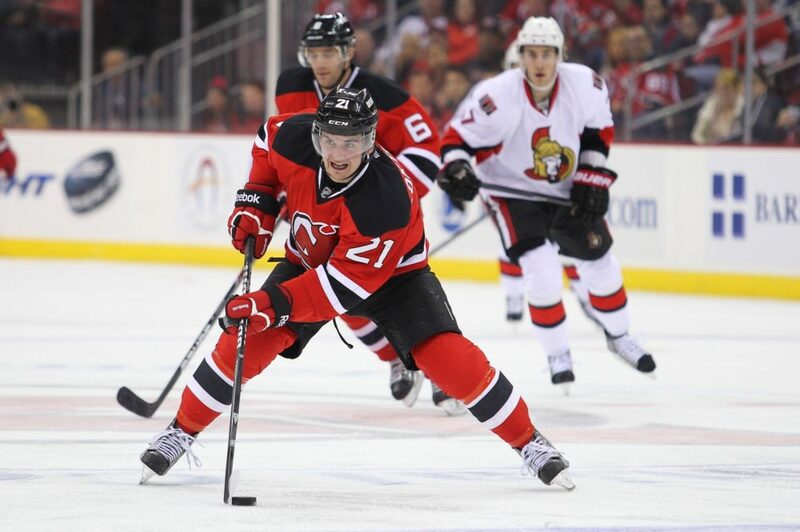 In New Jersey, Andrei spent time as the teams third line centre and enjoyed huge success as a possession driver. For the Hurricanes, he was used more as a winger but continued to post some stellar underlying numbers. He brings versatility, a strong possession game and some uncovered upside to the table. A one or two year deal on the cheap side seems attainable, and if I’m Don Maloney, I’m calling his agent right now. If it were up to me, signing Loktionov would be my top priority as of now. I love the fact that he excelled with driving the play, and he can play almost any position you ask him to. Signing Andrei doesn’t mean he has to play in the top six either. At worst he could at least provide some competition for youngsters like Domi, Samuelsson and Brendan Perlini. Adding Loktionov could end up being one of the best low key signings of the summer. Just my two cents.